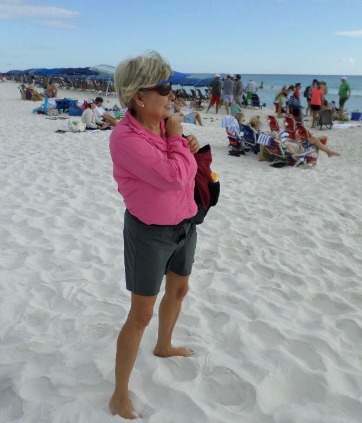 "Avoid sunglasses in gray, smoke, or dark-green colors ... these colors subdue colors and contrast, thereby diminishing visual ability," writes Bill Chapman author of Coping with Vision Loss: Maximizing What You Can See and Do. Amber lenses offer protection from blue light and help to enhance contrast. Because it's not a dark lens color, the world appears brighter which means visibility is improved. UV light can come from any direction so it's important to choose a frame that protects your eyes from all angles. Wrap around sunglasses offer added UV eye protection from the top and sides. 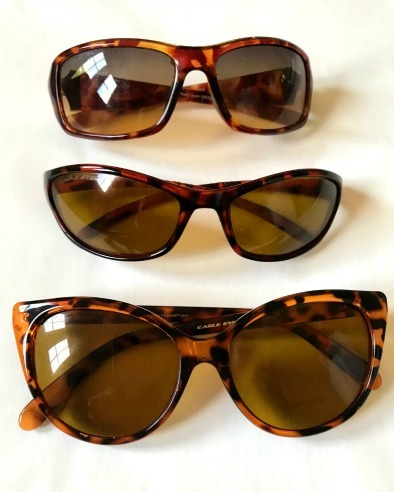 Prescription sunglasses can be an added expense that can perhaps be avoided by choosing an over-prescription pair of sunglasses. Your sunglasses should block all UVA, UVB, and UVC rays and should be labeled 100% UV protection. More expensive is not necessarily better.